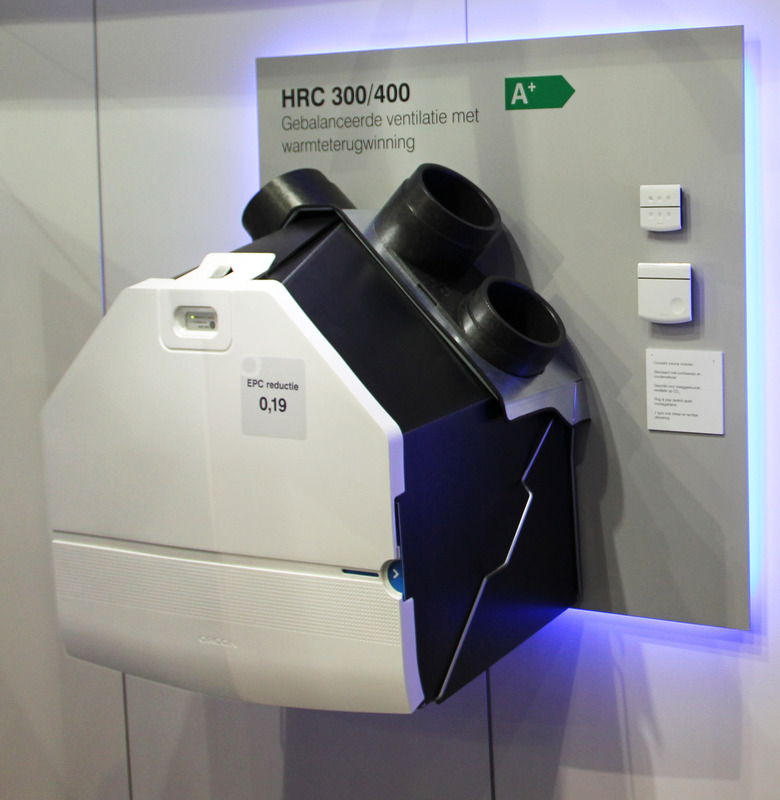 The HRC is a balanced ventilation system with heat recovery. This means that the same amount of outside air that is introduced into living rooms and bedrooms is extracted from kitchen, bathrooms and toilets. Thus, the heat of the stale air that is extracted, is transferred to the freshly filtered air that is introduced into the house from the outside, this allows a substantial energy saving. Remote control with six functions and humidity sensor incorporated in the equipment for automatic operation. The equipment stands out for its extremely low sound level coupled with a very low power consumption. 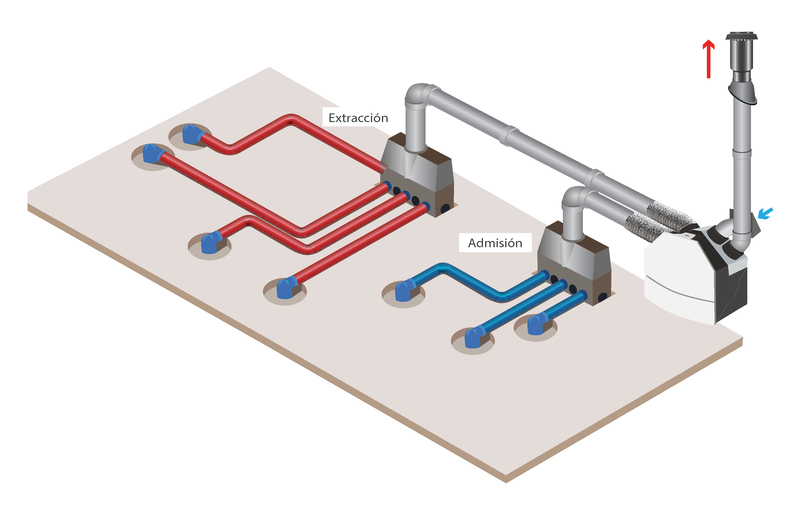 The system consists of the HRC unit, a one-meter long attenuator, a collector/distributor with built-in acoustic silencer for the elimination of voice transfer between the rooms, and Ø92 mm semi-rigid circular duct for air distribution individual to each space, avoiding 100% elbows and tees.